When you’re looking for used file cabinets for your business or home office in the Atlanta, Georgia, area, turn to NorthPoint Office Furniture. We have an expansive inventory of new and previously owned office furniture, including an impressive selection of file cabinets. 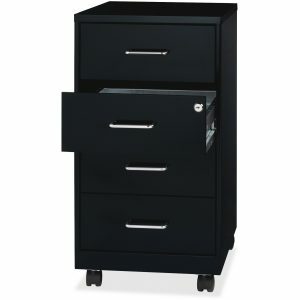 We have file cabinets available in many different colors, sizes, and 2-, 3-, 4-, and 5-drawer configurations. You’ll also find that our collection includes metal cabinets, wood cabinets, and we even have file cabinets that are fire and water resistant. Whatever type of filing cabinet you’re looking for, you’re sure to find one that will house and protect your important documents as well as meet your aesthetic preferences. At NorthPoint Office Furniture, we will help you find the ideal file cabinets and other office furniture items you may need to complete your workspace. Our conveniently located showroom will enable to you see and test out all of the furniture items you want before buying them, and we will work with you one-on-one to pick items that meet your needs and your budget. For more information about the used file cabinets we have for your home office or business in the Atlanta, GA, area, contact or visit NorthPoint Office Furniture today.